What Can You Do on Conservation Lands? If you enjoy outdoor activities such as hiking, biking, hunting, skiing or birding, you may be unsure whether your favorite recreational activity is allowed in a particular conservation area. The kind of activities allowed on conservation lands around the Valley can differ from place to place. Following are some guidelines about the uses that are allowed on lands Kestrel Land Trust has played a role in protecting. Find Places to Explore near you!  What Is Kestrel Land Trust’s Role? Kestrel owns and manages hundreds of acres of land in dozens of parcels throughout the Pioneer Valley. Kestrel holds conservation restrictions on more than 3,000 acres of municipal and privately owned land that we do not own or manage, but we help to ensure that the land is being used appropriately. Kestrel also often assists municipalities and state agencies in acquiring conservation land that we will not own or have any role with after it’s conserved. Other types of signs indicate that Kestrel has a connection to the land, but we do not own it. Typically, Kestrel has the ability to decide which recreational uses are suitable for the land we own. However, we may have limited ability to make these decisions for land on which we hold conservation restrictions but do not own, and none at all on land we assisted other agencies in conserving. If you have a question about whether Kestrel owns or manages a particular conservation area, please contact us. You may also contact your town or city clerk or local conservation commission to find out who owns or manages conserved land that Kestrel is not involved with. Why Do the Rules Vary From Place to Place? Most Kestrel-owned lands are generally open to the public during daylight hours. We own several conservation areas that offer trails for public use. However, not all Kestrel-owned properties have established trails, and not all trails are suitable for all of the activities described below. Contact us for more information about which properties are most suitable for your recreational activity. Formal parking areas are not always available on Kestrel lands, so please obey local parking bylaws. Kestrel encourages all visitors to practice Leave No Trace principles when using Kestrel lands. Note: From time to time, we may restrict public access to areas that are environmentally sensitive, present public safety hazards, or are being actively managed for farming or forestry. Kestrel will post these areas as restricted. Passive recreational activities are generally allowed, including walking, hiking, trail running, cross-country skiing, and nature observation. Dog walking is generally allowed; please carry out pet waste and follow local leash laws. Fishing, in accord with State fishing laws, is allowed. Hunting, in accordance with State hunting laws, is allowed on Kestrel-owned land unless posted otherwise. Very few Kestrel properties are posted against hunting at this time. Some are unsafe for hunting based on proximity to roads or buildings. We encourage you to contact us if you are interested in hunting on one of our properties. Mountain biking is allowed on trails designated as suitable for mountain biking. If you have questions about whether a trail on Kestrel land is designated as suitable for mountain biking, please contact us before you ride. Horseback riding is allowed on trails designated as suitable for horseback riding. If you have questions about whether a trail on Kestrel land is designated as suitable for horseback riding, please contact us before you ride. Wheeled recreational motor vehicles are not allowed on Kestrel lands due to the high trail maintenance costs and intensive impacts associated with recreational motor vehicles. Snowmobiling may be allowed on designated routes across portions of Kestrel owned land. In such cases, Kestrel will coordinate with local snowmobile clubs to mark established trail routes. Snowmobile users are encouraged to join local snowmobile clubs and obtain official maps from them showing established routes. Riding off established routes is prohibited. Trail-construction or clearing on Kestrel’s land, without permission, is not allowed. If you would like to assist Kestrel in building and maintaining trails, please contact us—we have many opportunities for volunteer trail work and would love to have your help. Picking of common edible wild berries for personal consumption, not for commercial resale is generally allowed on Kestrel lands. Picking or cutting of other plants, wood, trees, and harvesting or collecting of plants, animals, birds, eggs, insects (or other invertebrates), historic artifacts, or minerals is not allowed in order to protect these resources. Camping is only allowed on Kestrel lands with special permission, and only in areas Kestrel considers suitable for this activity. Fires, including campfires or grills, are not allowed on Kestrel lands. Many lands on which Kestrel holds conservation restrictions are open to the public for passive recreational uses. In such cases, allowed activities and prohibited activities are often posted at trailheads and major access points. In other cases, the owner of the land—private parties or municipalities—may decide to limit the types of recreational uses they will allow. Municipally owned land on which Kestrel holds conservation restrictions is usually open to at least some kind of public recreation (one exception to that may be public water supply land), and the town or city will often post this information at trailheads or on its website. Some conservation lands are privately owned (by individuals, schools, etc.) These landowners are not required to provide public access, so recreational use of these lands may be limited or not allowed at all. As a rule, it is best to check with the municipality or private landowner before you set out if you’re unsure about whether your activity is allowed on the land.